The Mi-Go is a winged, bug like demon and he has a human head which it is pulling the brain out of. I liked the idea of it's carapace being a dark color, so I painted it up with black and then used green to highlight it up in two stages. 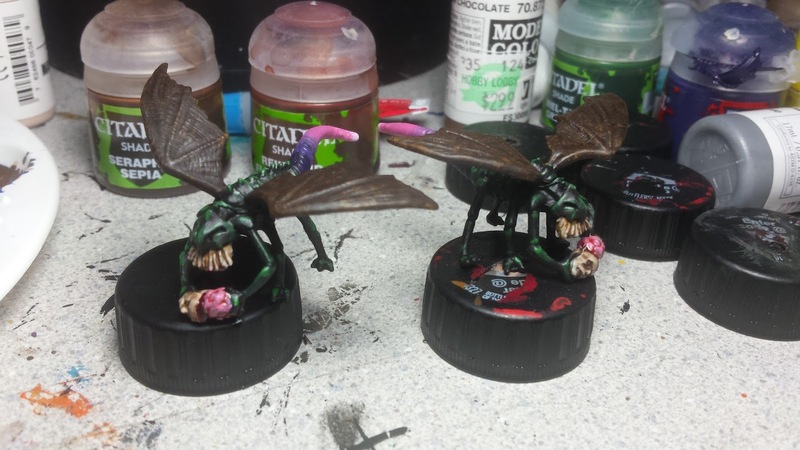 From there, I decided to paint their underbelly purple and blend it up to pink on the tail. Finally, I went with leathery bat like wings and used a natural sponge to give it a bit of mottling. The C'thonian was a fun mini to paint. 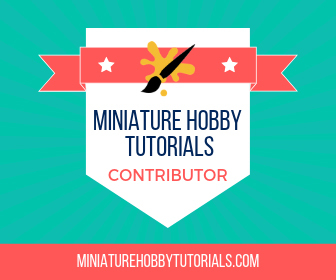 I started out with a base coat of Ushabti Bone and then used natural sponge to mottle the body. After that I started drybrushing the fleshy areas and finally used some Nuln Oil in the crevasses between segments. The Shoggoth was an interesting challenge. I wanted it to look strange, but I didn't want to use the same colors as the other monsters. Finally I decided on an olive drab underbody and purple main body. 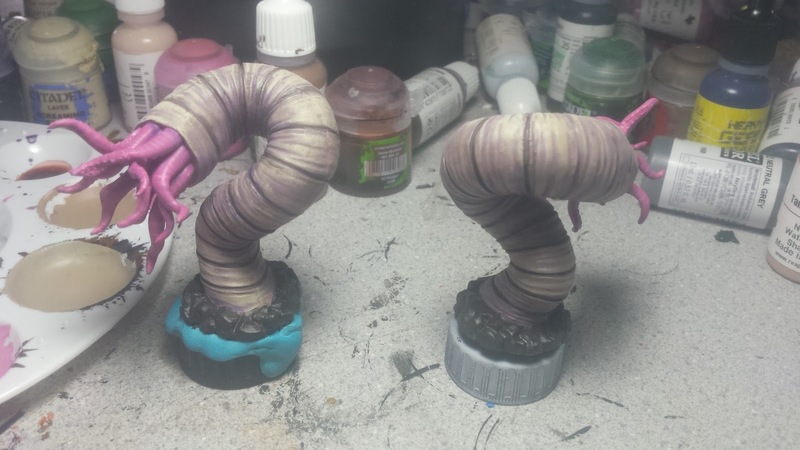 The tentacles almost ended up pink, before I decided on green. 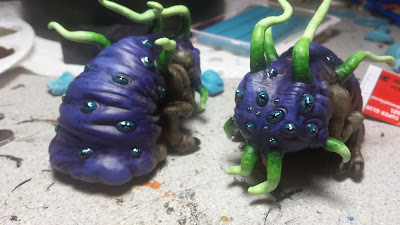 The eyes are painted like the eyes on my C'thulhu miniature and then painted with gloss coat, after the mini was sprayed with sealant. 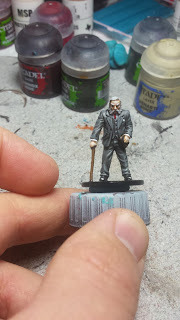 "Ashcan" Pete was the first of the investigators that I painted. 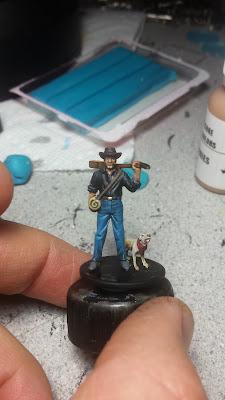 He was pretty fun to work on and I think that I now have denim down pat. Basically, I mix a regular blue with a pit of turquoise and then after a wash of Nuln Oil I begin drybrushing, working up the highlights with white. I also attempted a sunburst design on the face of the guitar, but I'm not 100% happy with it. Every paint job I saw of Kate had her as a white female, while her character portrait seems to me like she's more of an African American. So with that in mind, I decided to paint her up with dark skin. 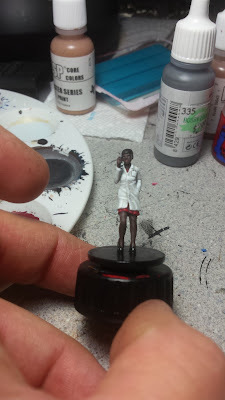 I'm also really happy with her lab coat, I think it might be some of the best white painting I've done recently. 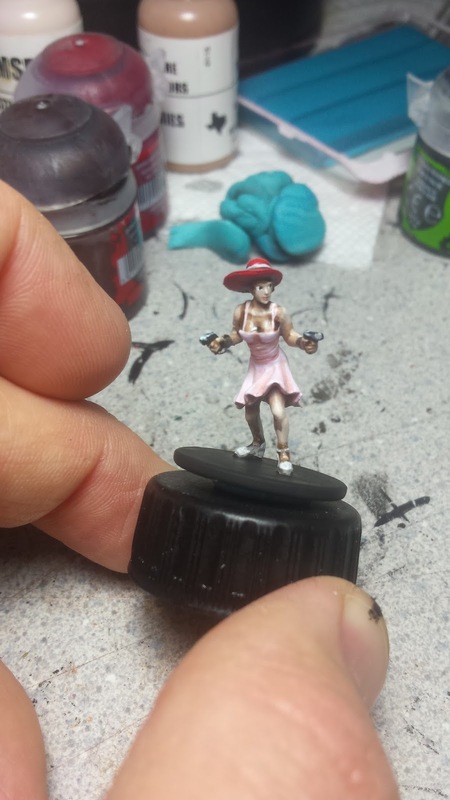 I originally wasn't sure what color to do Jenny's dress in. Finally I decided on a pink dress and red hat, but then I needed to accessorize the shoes and eventually went with white shoes. I'll be glossing them after she's varnished with matte spray as well. The professor, Harvey Walters, was really simple to paint thanks to his three piece suit. I'm really happy with how the suit came out too. Like Jenny and Kate, his shoes will be glossed. And since it is after Memorial day, I guess Jenny can wear the white shoes. Fantastic work Scott. It's great to see the colors you decided to go with as I try to figure out my own. It's great, I painted all the base skin tones of all the humans so I could mix up pale, mid, and dark skins across the set and Kate also ended up being black as well. The skin on the C'thonian looks very worm like.